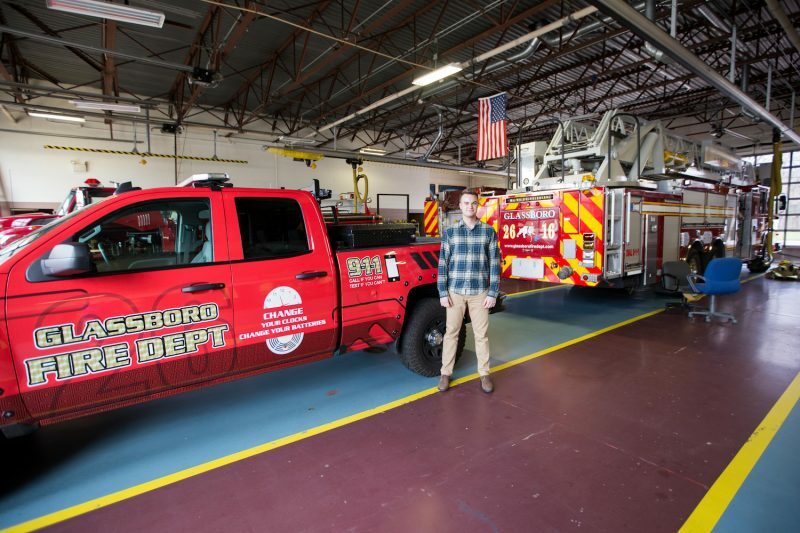 Jacob, a rising junior mechanical engineering student from Williamstown (Gloucester County), always felt the need to do more with his skills and education. 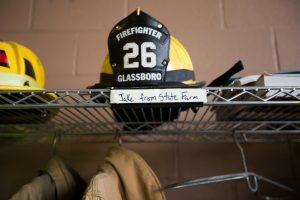 He wanted to give back to the college and town community, and with the Glassboro Fire Department, he does just that. 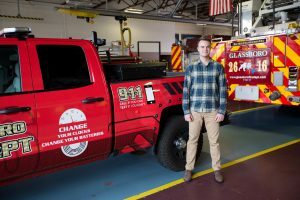 As a bunk-in volunteer firefighter, Jake responds to medical calls and fire alarms along with the Glassboro fire department teams. 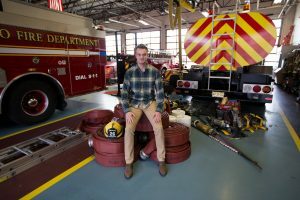 To achieve this position, he completed a six-month long fire academy in Gloucester County, but can now work as a firefighter anywhere in New Jersey. 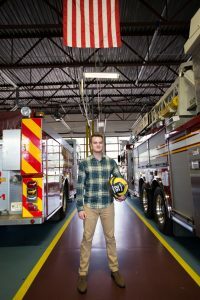 The passion for serving and giving back to his communities has always lived within Jake, as he was in ROTC for two years prior to attending the academy. At the Fire House right on High Street, Jake stays over night two to three nights a week. 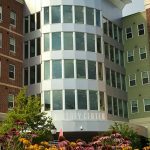 The other nights, he sleeps in his apartment in the Whitney Center. Experiencing these moments has made Jake feel incredibly comfortable under pressure. 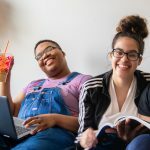 He explained how this training and work supplements his engineering career, being that he will have to handle large groups of people and communicate goals and plans. The fire department enables Jake to do all of this with ease. 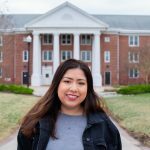 Getting involved outside of the classroom has not only exposed Jake to another career path he wishes to take, but gave him a second home with new friends that are his family now. 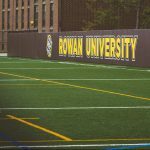 Beyond the Classroom highlights Rowan University-related experiences outside of traditional classroom learning that complement and support students’ career aspirations during this pre-professional phase in their lives.